Single shot rifles are very simple aesthetically, and have a well-known, minimalist design. 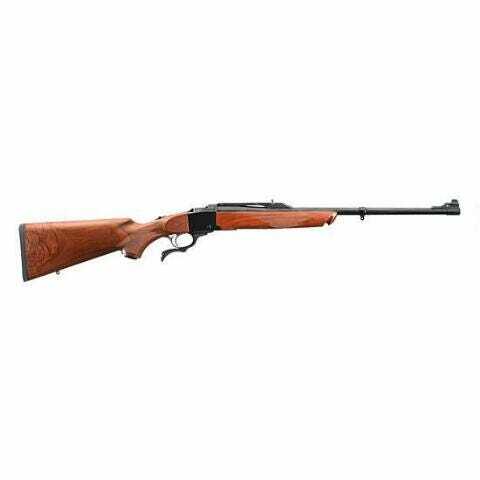 They offer an expertly-styled mechanical benefit that you simply cannot find with a repeat action rifle. Plus, you cannot overvalue the benefits of taking a single-shooter to the range. No frantic firing, just simple, leisurely shooting and loading, waiting for that perfect single shot. In addition, a single shot rifle forces the shooter to be more accurate. If you have to take the time to load each shot, then you are less likely to waste ammo. Many shooters who were taught on single-shot rifles are now better shots because of it. That is why the single-shot rifle is the perfect firearm for those just learning to shoot, or for anyone looking to improve their accuracy. Single shot rifles may not have the tactical advantages of repeat action rifles, but they are more reliable, more accurate, lighter and stronger. With all of these advantages, it is no wonder that single shot rifle owners are among some of the most loyal in the industry. And single shot rifles continue to be among the most popular firearms we carry here at GrabAGun.com.